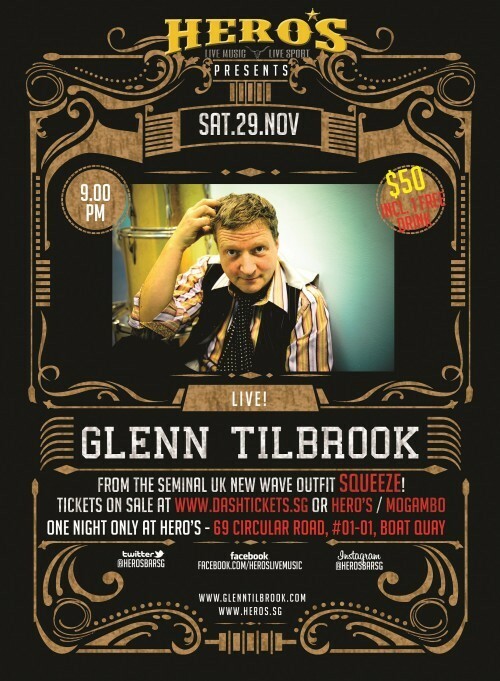 Do You Fancy Glenn Tilbrook Down Under? Glenn’s announced that he’ll be touring in Singapore and in Australia in New South Wales and Victoria! Finally after nearly 8 years I am returning to tour Australia, with a quick gig in Singapore on the way. Details below, hopefully a couple more will be added soon.